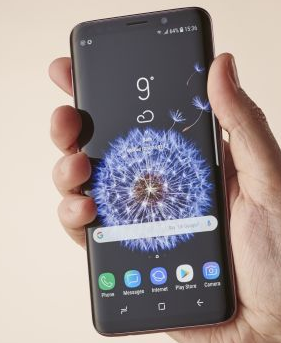 Samsung Galaxy S9 smartphone was launched in February 2018. The phone comes with a 5.8 -inch multi touchscreen display with a resolution 1440 x 2960 pixels. Samsung Galaxy S9 smartphone is powered by Octa core (2.3 GHz, Quad core, M2 Mongoose + 1.7 GHz, Quad core, Cortex A53) processor. The phone comes with 4 GB of RAM and 64, 128 & 256 GB of internal storage, and that internal storage can be expanded up to 400 GB with the help of a micro SD card. Samsung Galaxy S9 smartphone comes with 12 -megapixel primary camera on the rear and a 8 -megapixel front shooter for specially selfies photos. Samsung Galaxy S9 smartphone runs with Qualcomm Snapdragon Android v8.0 (Oreo) Android operating system. Samsung S9 smartphone comes with 3000 TO 4000 mAh Li-ion non removable Battery. Battery Capacity 3000 TO 4000 mAh Li-ion non removable Battery.